The next Town Hall meeting is scheduled for Friday, February 8th starting at 6:30 PM at the Sterling High School in Somerdale. 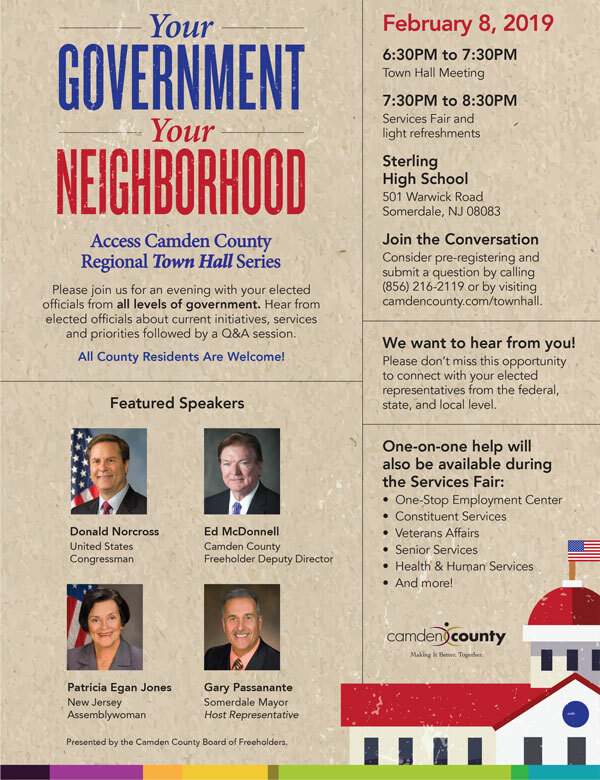 Hosted by the Camden County Board of Freeholders, the meeting includes a Q&A session, providing residents the ability to ask questions and get answers straight from a representative of the governing body and for elected officials to hear directly from their constituents. Following the Town Hall meeting will be a services fair featuring representatives from numerous county departments. Register today and send us your questions for the Town Hall event.